I wore this for a fundraiser I hosted at the shop. I wore my regular comfy work shoes but in the photos I replaced it with shoes I would normally wear with this. The dress was my mom’s but she’s never worn it. 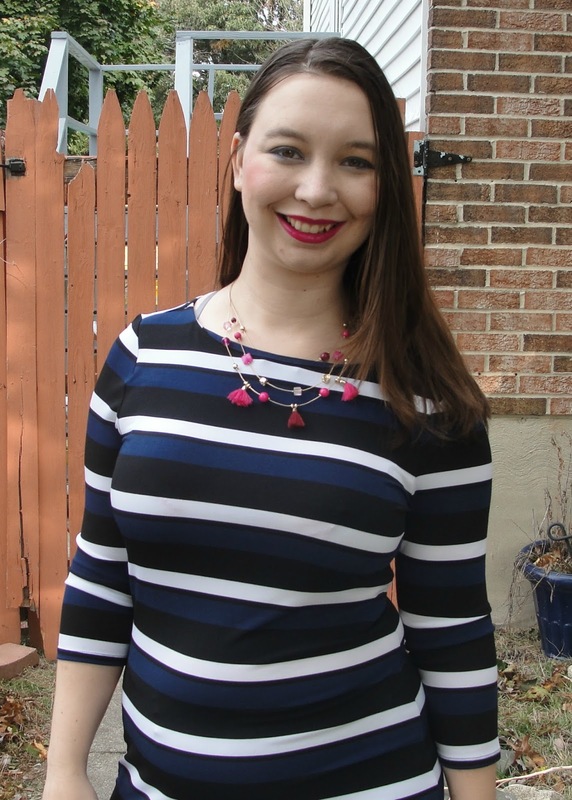 Love the color of stripes in that dress! It's so cute with the pink flats! That's the cutest dress! Love the pleated bottom. I love that pleated hem! Such a cute pop of color with those pink flats! I am in love with this dress! 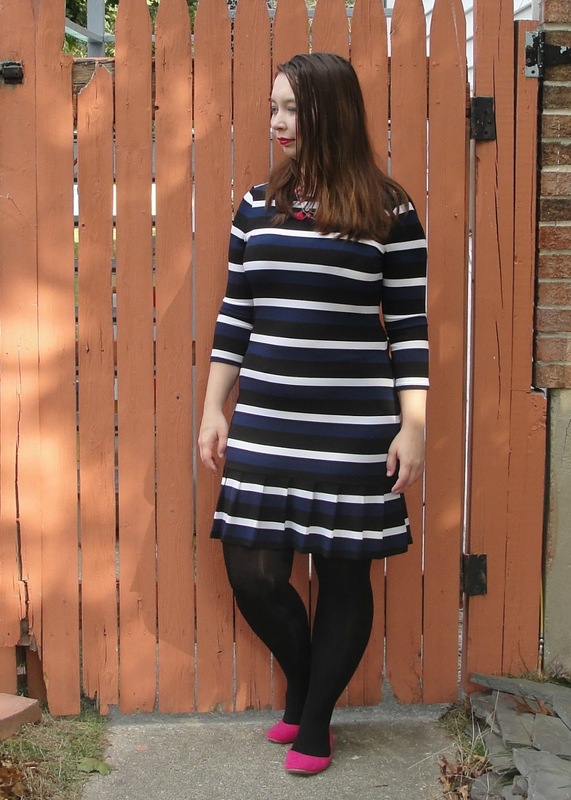 The classic stripes and the pleats at the bottom are so beautiful and chic! One of my fave looks on you Jessica! 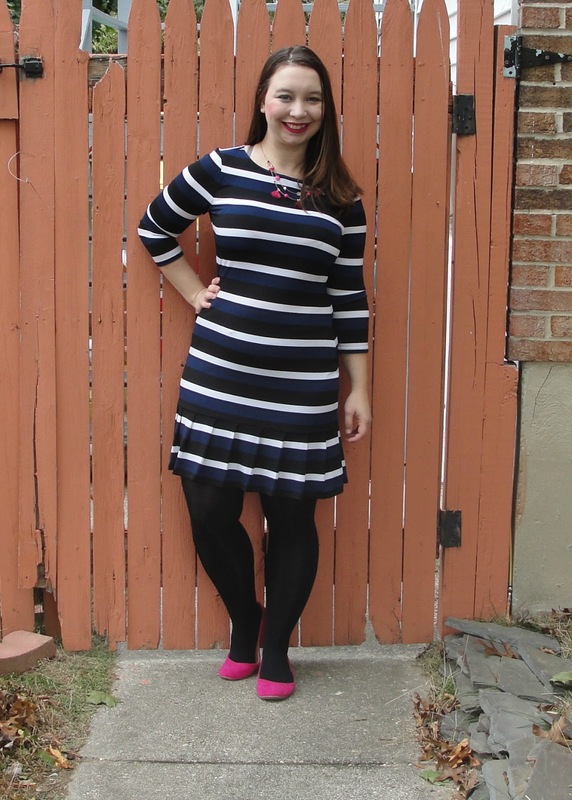 This dress is so cute and I love the pleats! Just came across your blog and can't wait to see more :D following you on GFC! I love a good striped dress, and the little dropwaist pleats are so cute! Super cute striped dress and I love the pops of pink! Loving the stripes, and it is perfect finished off with pops of pink!